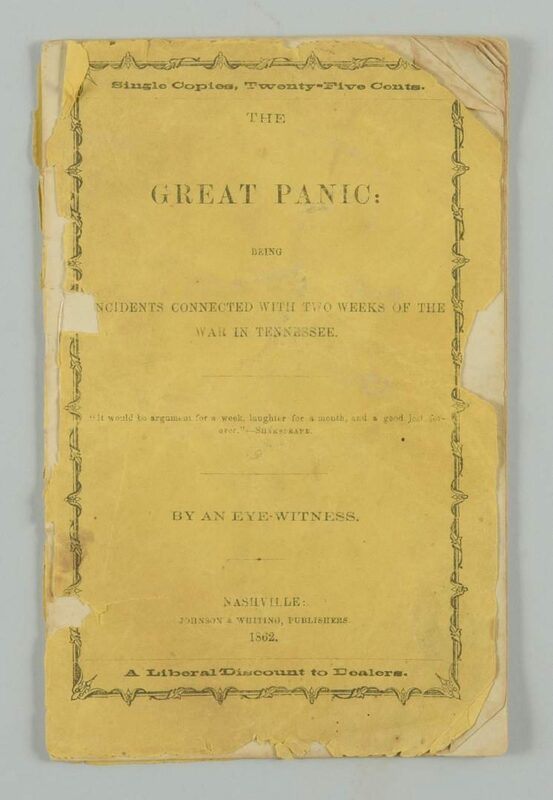 The Great Panic Being Incidents Connected with Two Weeks of the War in Tennessee, 1862, by an eyewitness. 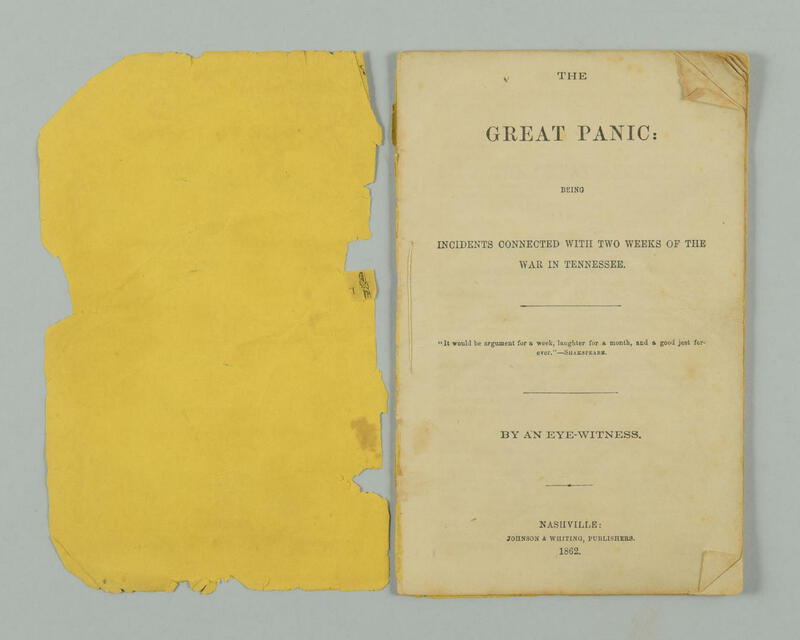 Collection of Charles and Ann Wells, Nashville, Tennessee. CONDITION: Cover detached, corner folds.